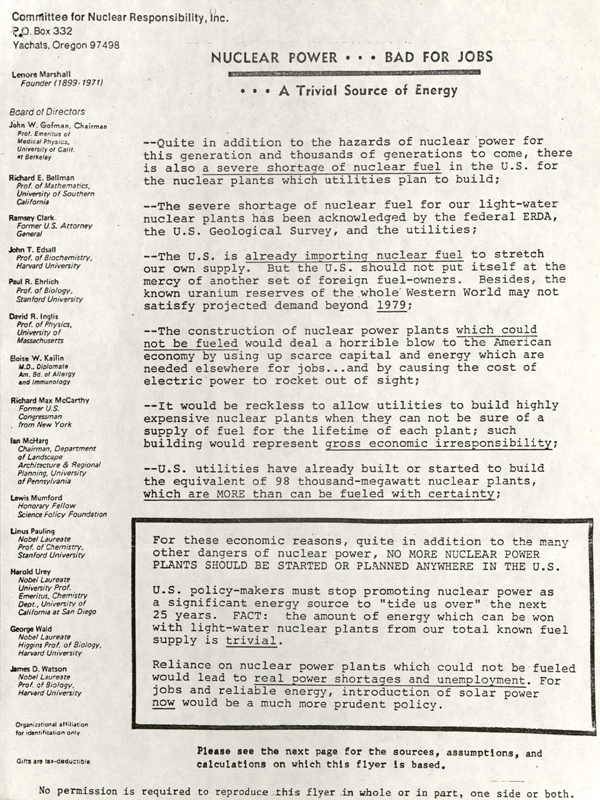 The first Earth Day, observed across the country on April 22, 1970, was the product of local grassroots action to increase environmental awareness. 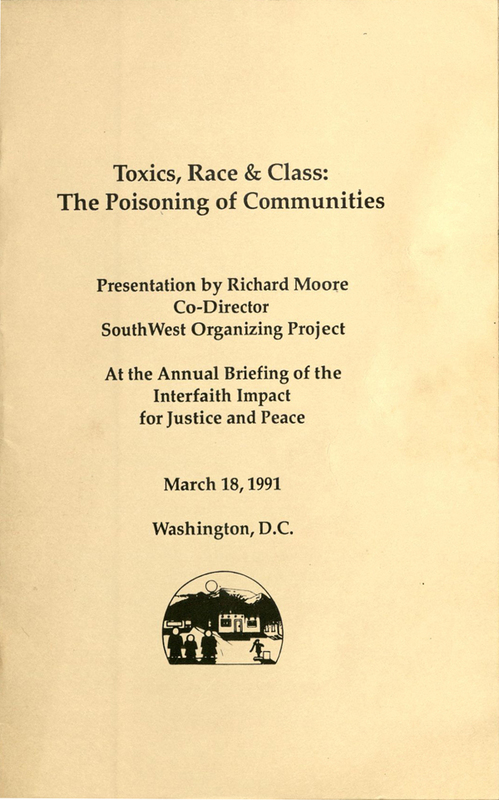 Activities that day were not created by organizers in Washington, but by individuals and communities who worked to focus the nation’s political agenda on environmental issues. 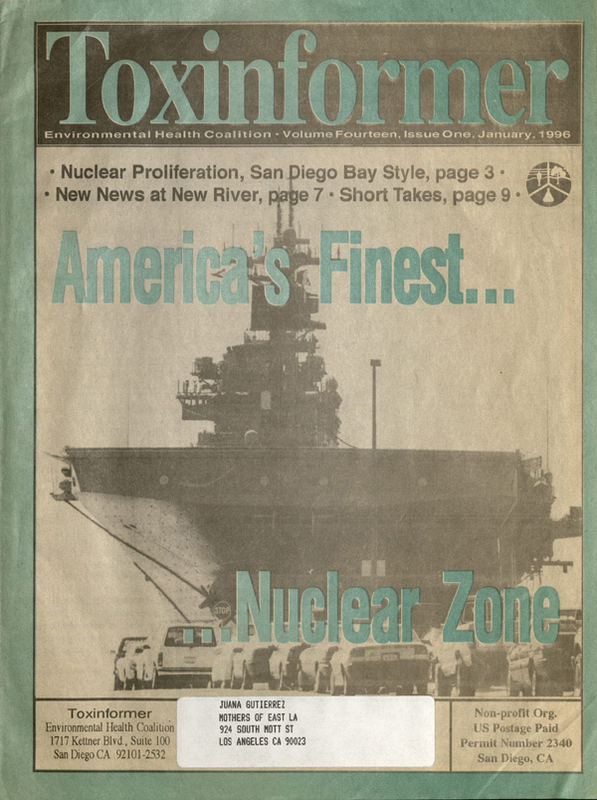 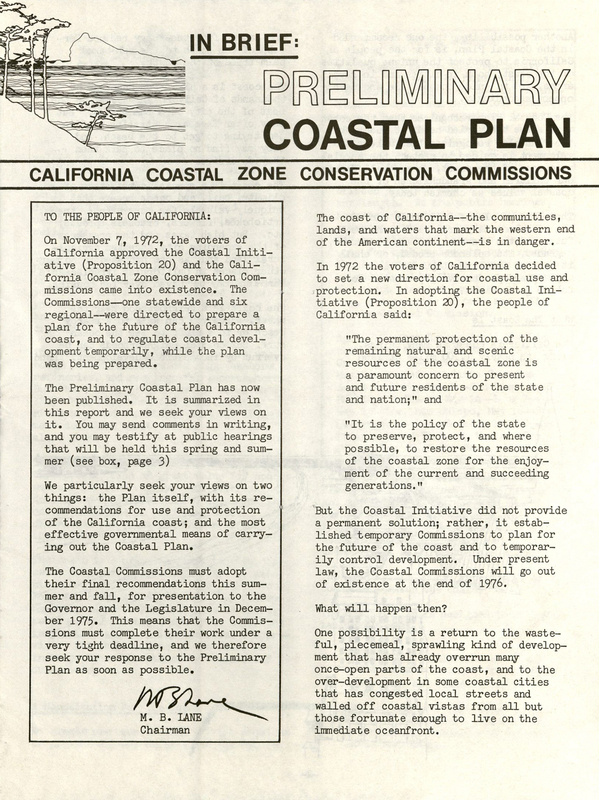 Special Collections and Archives holds several collections that document the history of environmental activism in Southern California. 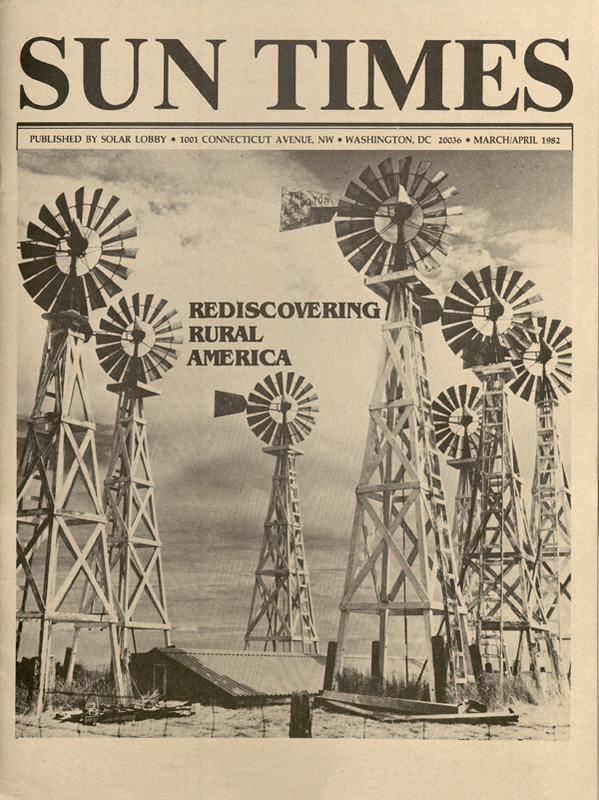 Community activist Dorothy Boberg's work is documented in the Dorothy Boberg Collection. 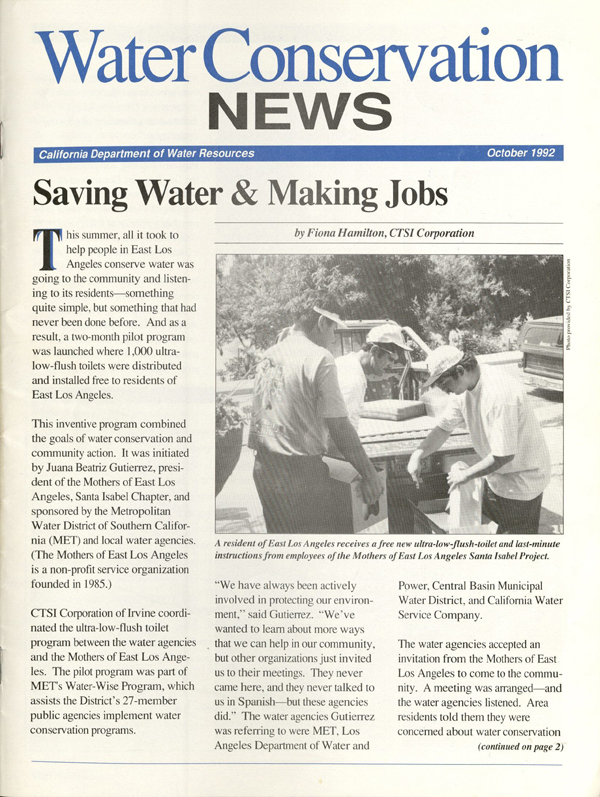 Boberg, as a member of numerous local civic and activist organizations, worked on myriad community issues in the San Fernando Valley and greater Los Angeles throughout her adult life. 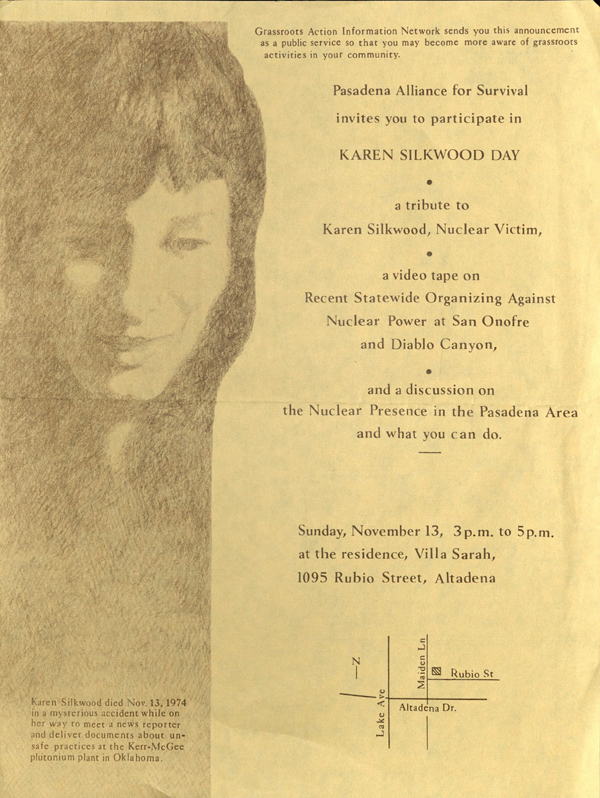 In 1971, she founded the North Valley Ecology Council, and was a member of the CSUN University-Community Advisory Planning Committee. 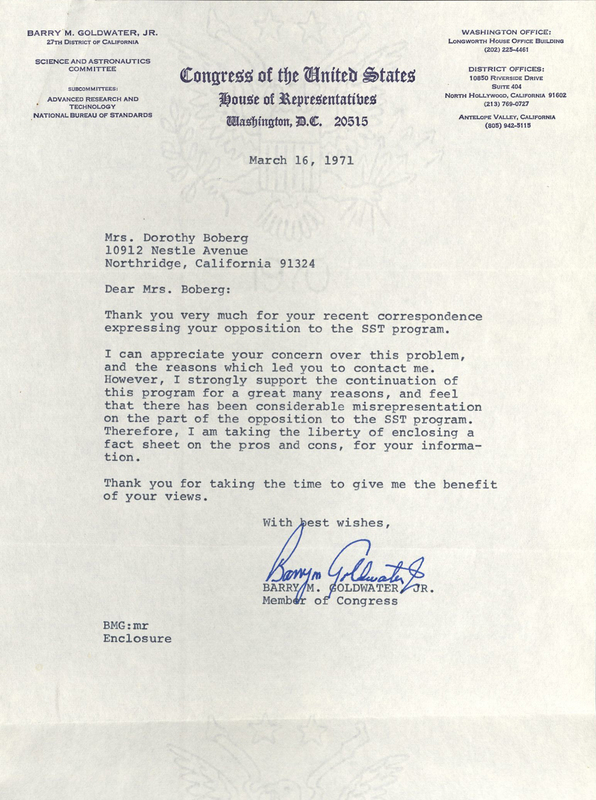 From 1974 to 1977 Boberg served on Mayor Tom Bradley's Social Concerns Task Force, and also served as chairperson of the Hazardous Facilities Committee of Mayor Bradley's Task Force on Earthquake Prediction. 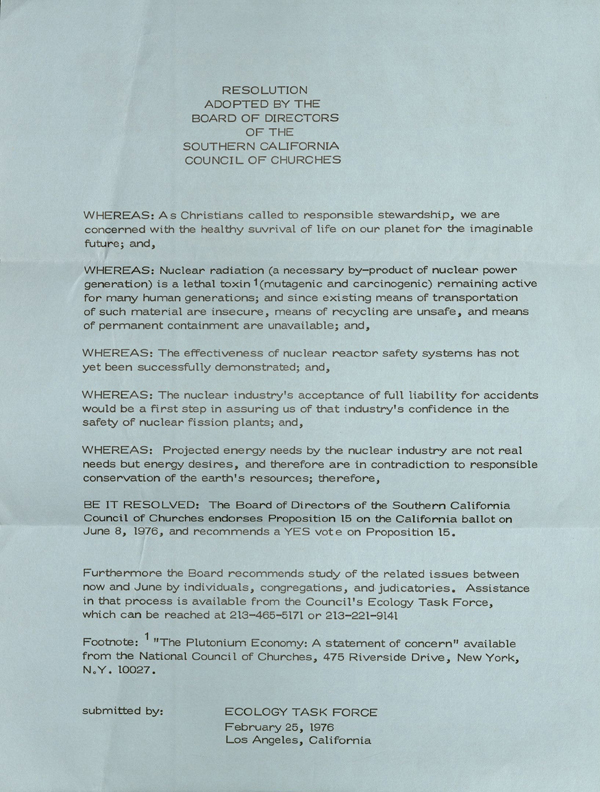 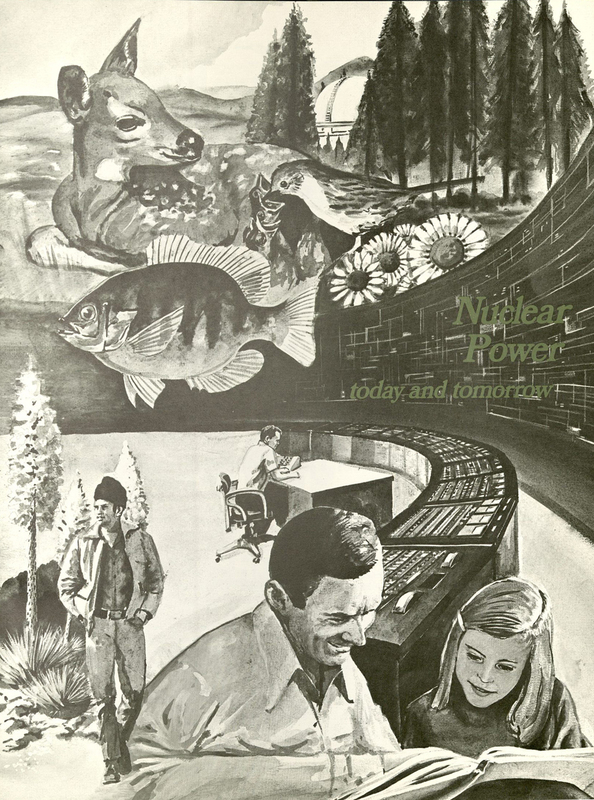 She was an active member of the Sierra Club Nuclear Task Force, and frequently testified on environmental issues and against plans for construction of nuclear power facilities at Los Angeles City Council and Water and Power Commission meetings. 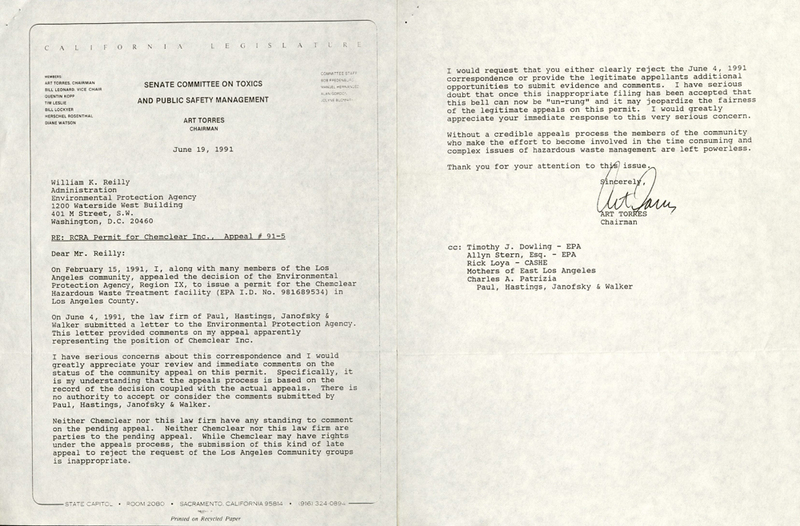 The Juana Beatriz Gutierrez Mothers of East Los Angeles Collection documents the work of the Mothers of East Los Angeles, formed in the early 1980s under the guidance of Monsignor John Moretta of the Resurrection Church in Los Angeles. 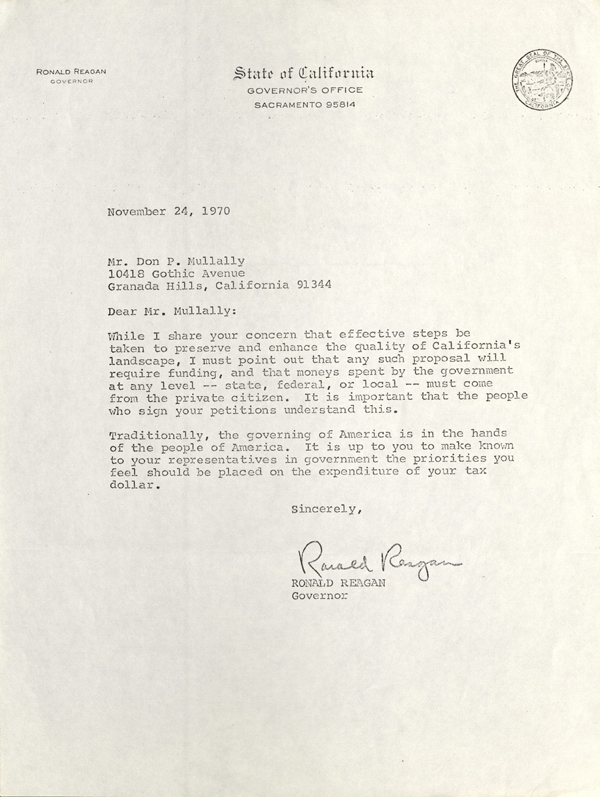 MELA’s original intent was to band together in protest to the construction of a proposed $100-million state prison in East Los Angeles. 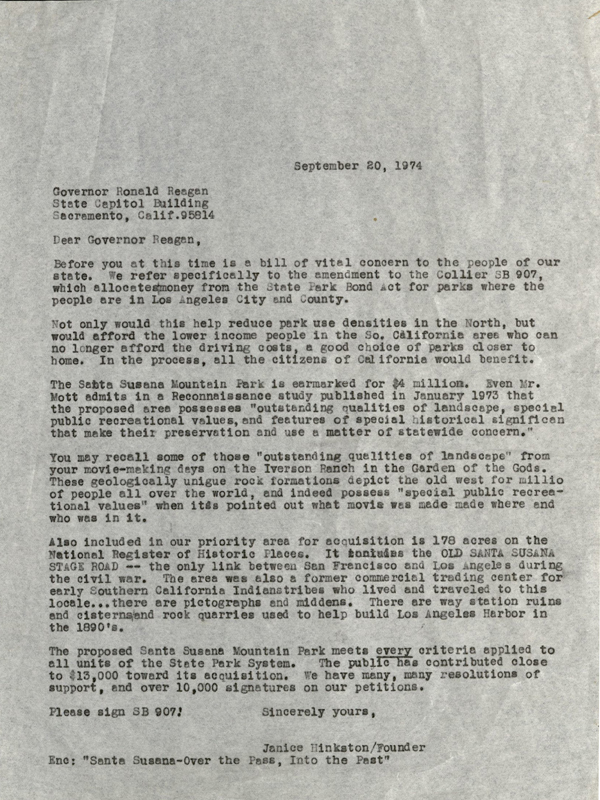 After successfully quashing the East LA prison project in 1986, MELA turned to other issues which impacted the safety, protection, and welfare of their children. 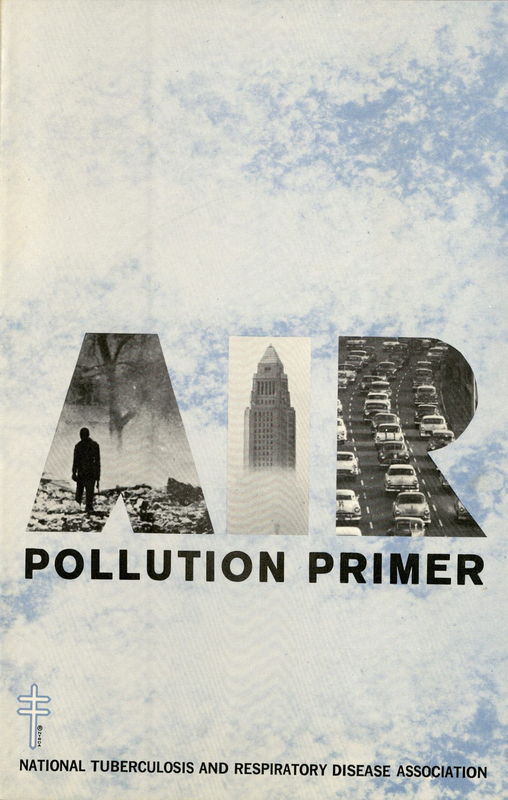 MELA has been nationally recognized as an environmental organization, and was credited with the defeat of several environmentally threatening projects, including the Vernon incinerator and the Chemclear plant. 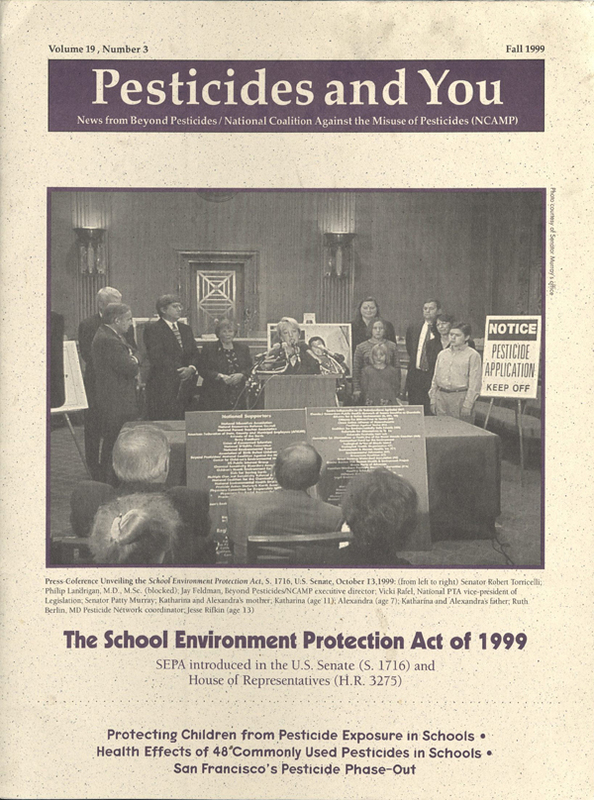 The MELA Collection includes materials that document the organization’s role in working toward reforms in pesticide and toxin controls, water reclamation and conservation, waste and recycling, and air quality issues. 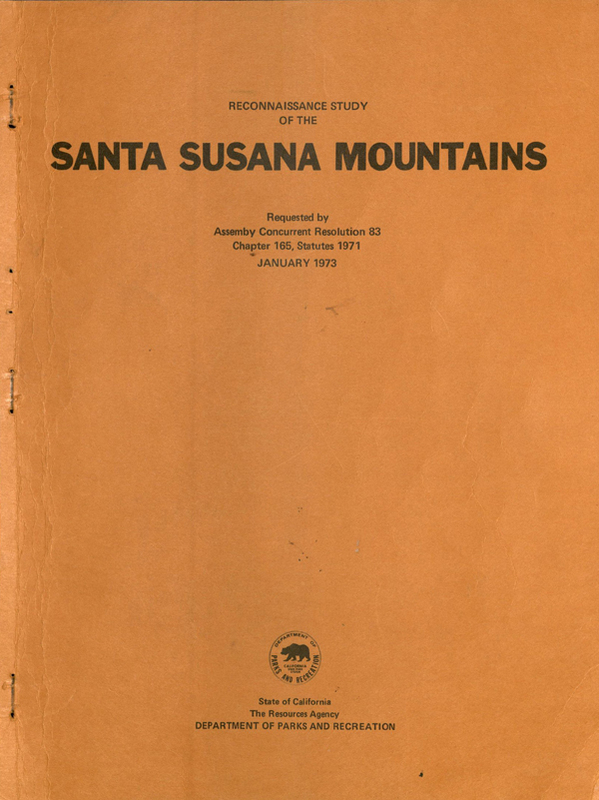 The Santa Susana Mountain Park Association Collection documents the work of the Santa Susana Mountain Park Association (SSMPA). 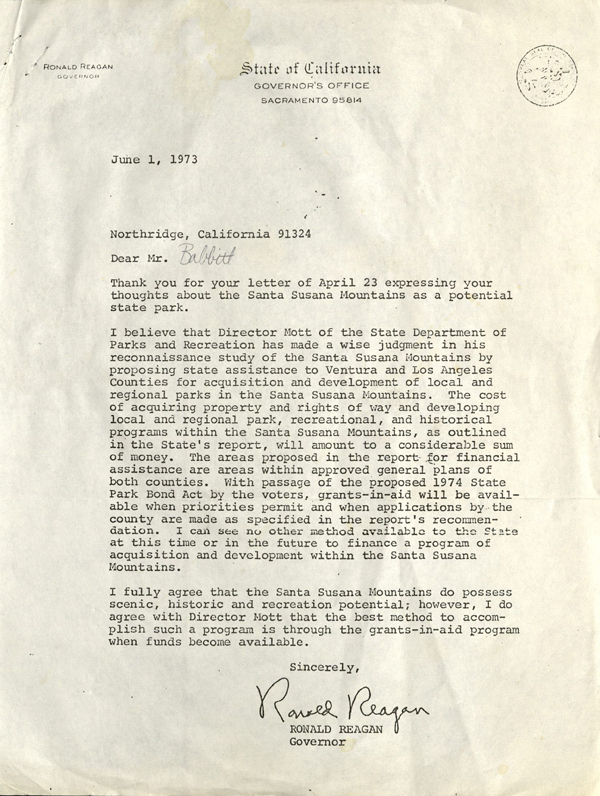 Formed as a non-profit group in 1971 to preserve the Santa Susana Mountains and the Simi Valley Hills as open space during the rapid urban development of the Santa Clarita, Santa Clara, Simi, and San Fernando valleys, the SSMPA has acted as a citizens' lobbying group to obtain state and federal legislation, local governmental support, and favorable public policy to conserve wilderness areas. 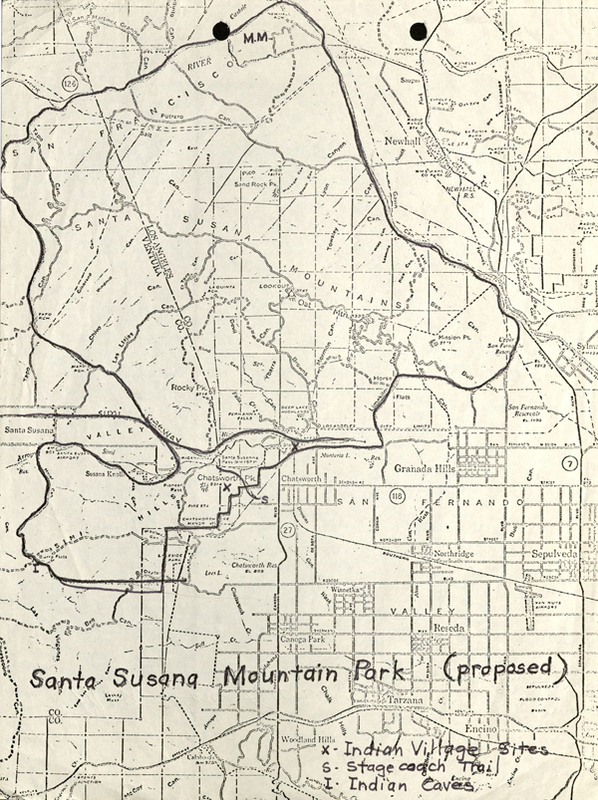 The collection adds to a growing history of grassroots efforts to preserve and protect open space and wildlife in the ever developing San Fernando Valley.